Pot Freesias Recent breeding has lead to the introduction of a range of new compact freesias bred especially for pot growing. Quick growing, these are perfect for patios and decks. 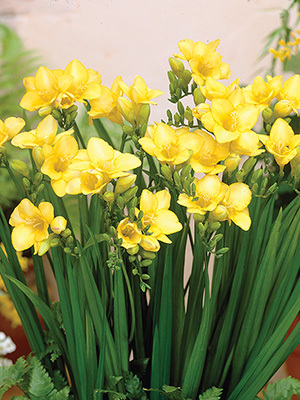 Recent breeding has lead to the introduction of a range of new compact freesias bred especially for pot growing. Quick growing, these are perfect for patios and decks.